You can share The Equality Effect by giving a book to a politician! Below you find a short introduction into The Equality Effect. Reading samples from the book can be found in the Material section of this website. You can also find further readings in the following two links. Greater economic equality benefits all people in all societies, whether you are rich, poor or in-between. The truth of this has only become evident recently, and is contentious because it contradicts the views of many in the elite. Countries that have chosen to be more equal have enjoyed greater economic prosperity while also managing to develop in ways that are more environmentally sustainable. In contrast, countries that have taken the road of growing inequality, such as the UK and the US, have seen increasing complaints from their populations about the costs or scarcity of healthcare, housing and many other basic necessities. Poorer countries that are more unequal also see more suffering. The evidence is now overwhelming that we need to set in motion the equality effect. The tide has already begun to turn. It is early days, but we can now see where we are heading and those of us who argue for greater equality are beginning to make the running again. Those who would foster inequality are now on the back foot. In the UK and the US, inequality advocates made the running from 1978 all the way through to the financial crash in 2007-8. With hindsight, egalitarians were often on the back foot during those three decades. Whereas, in great contrast, from the 1920s right through to the early 1970s, economic equality was increasing most of the time in the US, UK and most other affluent states in the world and the views of those who argued for equality were much more popular. Today we are again at a crossroads. Other forms of equality – gay rights, women’s rights, civil rights disability rights – continued to be fought for in the 1960s, then won in later decades, and then more widely introduced after the 1990s, but often without the economic emancipation that could have enhanced their impact. Wage inequality between women and men remains high because overall wage inequality is high. People who resent being low-paid take out their anger on people they see as potentially inferior to them: women, immigrants, people with disabilities, people with different sexualities, in fact any group of people with a trait that can be used to differentiate them from a supposed majority. Today even rightwing politicians sometimes talk of wanting to increase economic equality. They often express their concern for those ‘left behind’ economically, but it is hard to see any evidence that they are interested in much more than the votes of such people. However, the fact that they have changed how they talk demonstrates a more widespread change in our common understanding. Their immediate predecessors talked of ‘rewarding talent’, ‘a rising tide lifting all boats’, ‘allowing the tall poppies to bloom’ to the supposed (but not actual) benefit of all. Now even the perpetrators of growing inequality claim they are against it, but they do not admit to their own complicity in creating, maintaining and even increasing it. The tide may be turning again towards greater economic equality, but the case for it needs to be made clearer – otherwise rightwingers will again subvert the argument. They will claim they are against inequality while quietly promoting a rebranded version of it. The case for greater equality is not just the reverse of the case against income and wealth inequality. 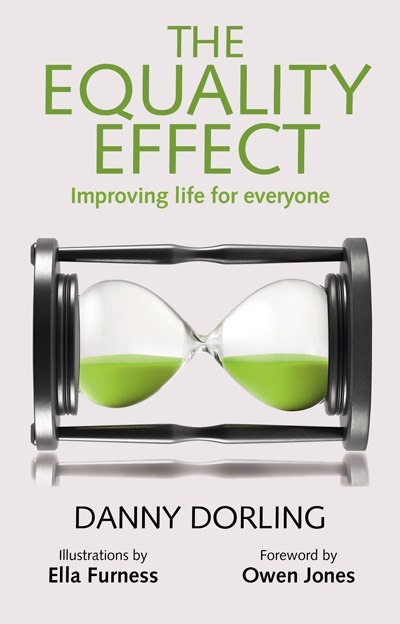 Gaining greater equality has a set of particular positive effects on a society that we can call ‘the equality effect’. Greater economic equality makes us all less stupid, more tolerant, less fearful and more satisfied with life. It may bring even greater benefits than that. We are not sure because we have tolerated immense inequality for so long that we can’t be certain of all that is possible when we eventually do treat each other with economic respect. Until recently the idea that greater equality of economic outcome could have a positive effect was viewed as a dangerous idea.